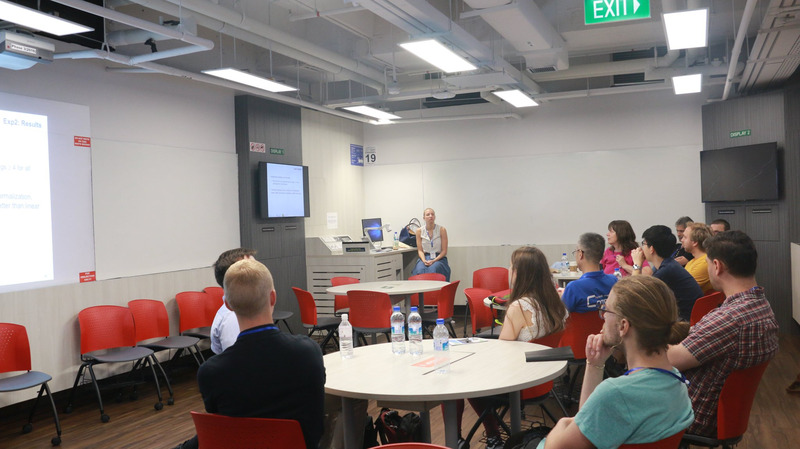 Amra Delic and Prof. Judith Masthoff gave a tutorial on Group Recommender Systems at the 26th Conference on User Modeling, Adaptation and Personalization - UMAP 2018 on 8th July 2018. Recommender systems for groups are becoming increasingly popular since many information needs originate from group and social activities, such as listening to music, watching movies, traveling, etc. There has been substantial progress on systems which recommend items to groups of users. However, many challenges remain. The goal of this tutorial is to introduce group recommendation and group modeling to the UMAP audience. First we will introduce the problem of making recommendations to groups and adapting to groups, and give an overview of the state-of-the art approaches to group recommendation. Next, we will also analyze more challenging topics, such as including different behavioral aspects into group modeling, and evaluation of group recommendations. Throughout, hands-on activities will be included. The tutorial will conclude with a summary of challenges and open issues. Please find attached the slides of the tutorial as PDF file.